Another class campaign in the history books: shaman. This makes for 75% of Legion’s class stories finished, as well as at least one class of every armour type at max level (a first in my WoW career). The shaman story, to be honest, just isn’t that good. The fundamental concept is flawed. Your mission is to unite the four Elemental Lords against the Legion. That’s something that seems reasonable at face value — shamans deal with the elements, after all — but is revealed to be powerfully stupid once you examine it. 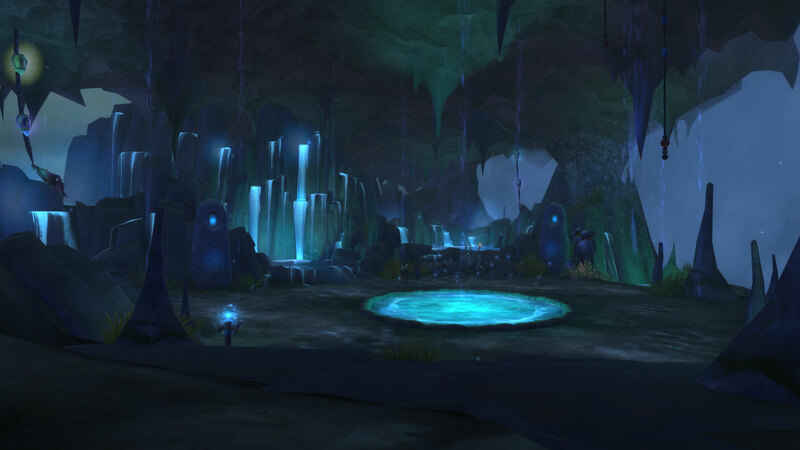 It does draw some attention to one of the most confusing aspects of Warcraft lore (so confusing even I’m not exactly clear on it): What, if any, is the distinction between the elemental spirits and the elementals? I have long operated under the assumption they are, in fact, separate. The elemental spirits are shown to be omnipresent and usually (but not always) benevolent, whereas the elementals are mainly imprisoned in the Elemental Planes and usually (but not always) evil. But the distinction has never been clearly drawn, and WoW often seems to treat the two groups as interchangeable, so it’s all deeply confusing. If my assumption is correct, it doesn’t really make sense for the shaman campaign to focus on elementals rather than the spirits, but even if I’m wrong, it still doesn’t make sense, because one thing that’s absolutely certain is that the Elemental Lords are bad news. The Elemental Lords have historically been servants of the Old Gods, and they all hate mortals. Trying to give them more power is a colossally bad idea. 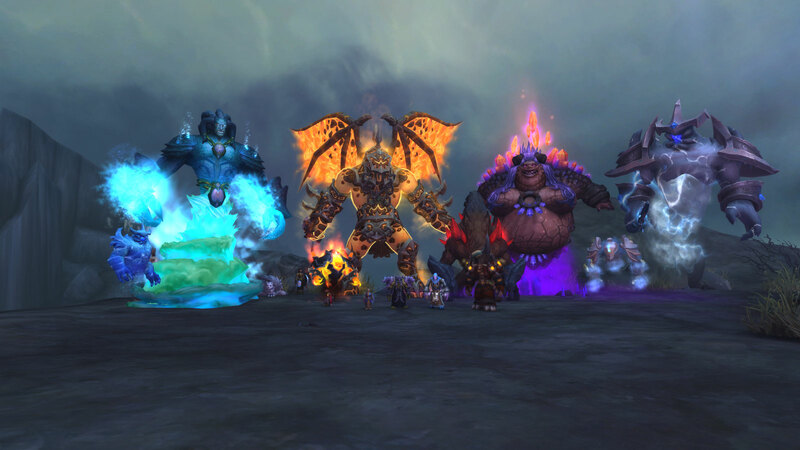 Not that long ago at all, our characters were fighting tooth and nail to depose the Firelord and Windlord, and the shaman campaign asks us to end the chaos in Firelands and Skywall and appoint new ones? Heck, even Therazane — usually portrayed as one of the more stable and reasonable Elemental Lords — has some dialogue in the campaign implying the only reason she’s fighting the Legion is that she wants the privilege of destroying Azeroth herself. And now we’ve unified all of the Elemental Lords into a single, powerful fighting force. And last I checked the protections around the Elemental Planes still haven’t been fixed after Deathwing punched them open, so there’s literally nothing stopping them from invading Azeroth en masse and launching another Cataclysm. There are a lot of class campaigns that involve doing morally questionable or potentially dangerous things, but I never thought the worst one would be not demon hunter, or death knight, or rogue, or even warlock, but shaman. Gambling with the fate of the world might make sense for the Black Harvest, but shamans are supposed to be bringers of peace and harmony who serve to keep the forces of the world in balance. The Broken Shore leg of the campaign doesn’t do much to help matters, either. It does wrap up a long-hanging loose end from Cataclysm, which I appreciate, but it does so by once again forcing you to work with someone unambiguously evil who will clearly stab you in the back at the first opportunity. You’re forced to play as a gullible idiot. There’s other problems, too. In terms of the cast of characters, this is a very weak campaign. Half your followers are just faceless elementals we’ve never met before. 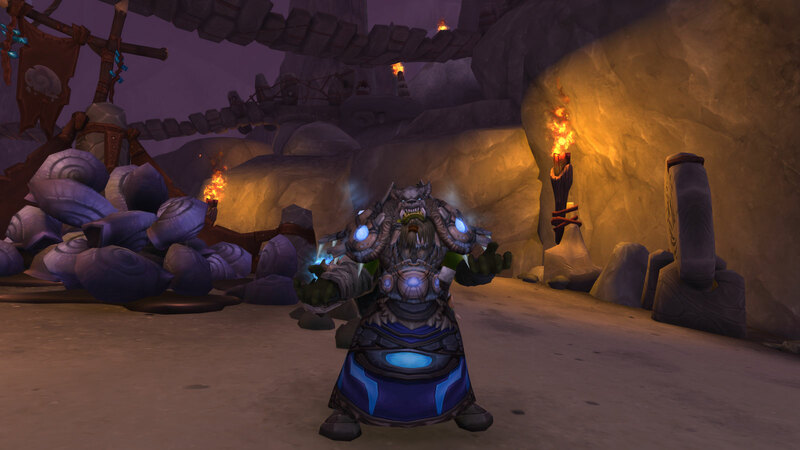 Stranger still, Azeroth’s two most famous shaman are almost totally absent from the campaign. 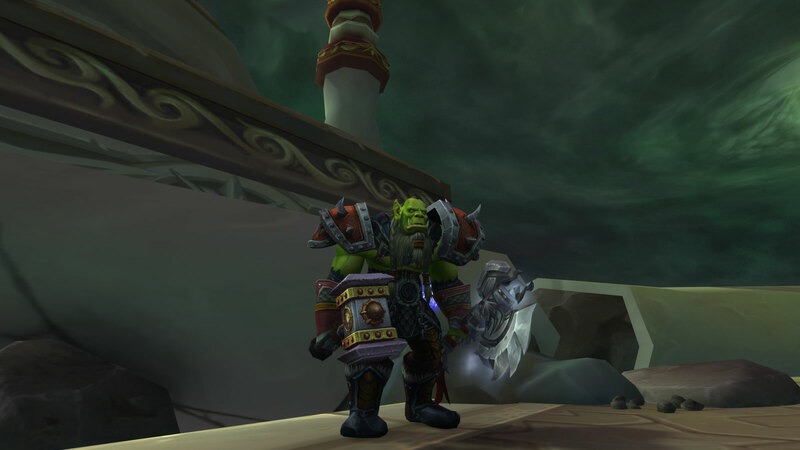 Thrall’s disappearance is likely due to Metzen’s real life difficulties, which can’t really be helped (no matter how illogical it is in the context of the game lore), but there’s no reason Aggra couldn’t have played a starring role. Instead, she’s barely there. With them out of the picture, the focus is on Nobundo, and while I like Nobundo about as much as I ever like Draenei (Broken > regular Draenei), he doesn’t really have the charisma or star power to carry a story like this. At least Mylra’s still fun. Gameplay wise, the campaign is also lacking. At one point it even commits the most cardinal sin of MMO quest design: Sending you straight back to the exact same location you just were to kill the exact same mobs you just killed. I couldn’t believe Blizzard would sink to something like that in this day and age. And I don’t like the class hall. It’s too cold and uninviting. When I picture a shaman hall, I think a cozy spirit lodge with elders sharing wisdom around a bonfire. One thing I can say is that the shaman campaign does more to illustrate the full extent of the Legion invasion than the rest of the expansion, even if does so mainly by telling rather than showing. It confirms that the invasion is far worse than is reflected in-game. Also, as lame as the rest of the campaign was, the artifact quest for the Fist of Ra-den is absolutely nerdgasmic from beginning to end. Even so, though, this is still probably my least favourite campaign so far. It’s not all bad, though. While I didn’t like the class’s story, the actual playing a shaman part was a lot of fun. It’s something of a joyful reunion, really. You see, my shaman is actually one of my oldest WoW characters. He’s only a few weeks younger than my mage and my rogue, and older than most everyone else on my roster. He was always on the backburner, though. A neglected third or fourth alt. And as time went on, I increasingly lost interest, mainly due to frustration with the “whack-a-mole with cooldowns” playstyle of enhancement. 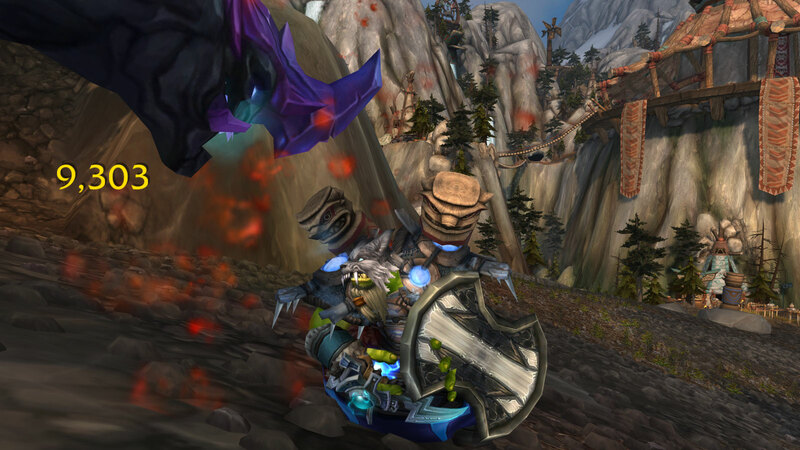 As a result, my shaman was eventually abandoned in late Cataclysm (I think? ), having never once reached the current max level. Enhancement still doesn’t feel great to me, but with tri-spec now a reality, I gave elemental a try, and I love it. The spells are visceral and satisfying to use, and the toolkit feels very well-rounded: one DoT, a spammable filler, a powerful nuke on a short cooldown, a resource-spending instant nuke, a proc. It’s got everything you could want. In retrospect I probably should have tried elemental a long time ago. It just seemed weird to have an Orc who doesn’t melee, but I’m having so much fun with elemental I don’t really care anymore. I also continue to play restoration when in group content — being a healer is a crucial part of his backstory, and in my heart I consider that his “main” spec — and it remains very fun. It’s probably my favourite healing spec in Legion. It’s actually remarkable how little resto has changed over the years. Oh, sure, there are some adjustments that have been made, the loss of Earth Shield being the most notable, but fundamentally it feels about the same as it did back when I first played it back in Wrath. Something comforting about that. As with elemental, I enjoy how well-rounded restoration feels. It has a little bit of everything and a tool for every situation. Its strength lies in its versatility. 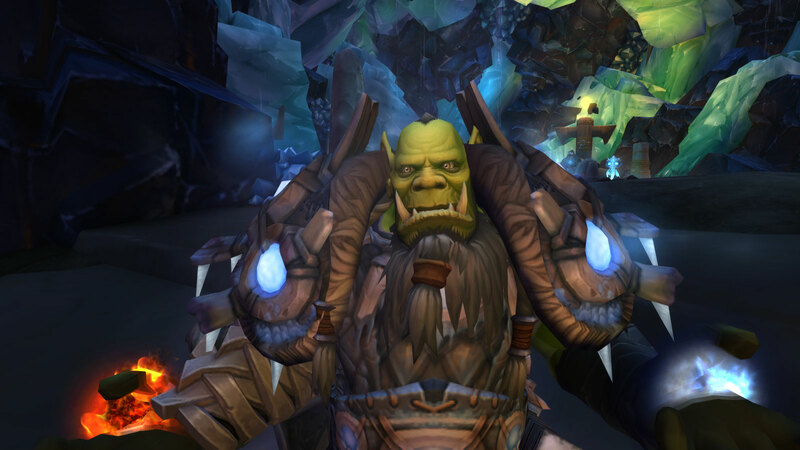 And beyond the raw mechanics, it feels good to finally have my shaman at max level, doing raids and heroics. It feels like the fulfillment of a promise, somehow. I’ve always loved the backstory I came up with for him, and I never stopped regretting abandoning him. Maybe he’ll never be my new main, but I’m glad he got to have his moment in the sun. Mylra’s one of the best bodyguards when it comes to voice acting. I quite miss that wowhead is not listing those quotes on NPCs any more. Some WoD followers were pure gold as well. For now I think the best one so far is Princess Tess Greymane. “Don’t worry, you’ll be dead soon.” I hope they keep coming with some bodyguard/follower system in next expansions, even if they do little damage, they are fun to have around. Oddly I never really bothered with bodyguards in WoD. I was mainly playing my rogue, and I was worried about them aggroing mobs and knocking me out of stealth. I find the power of Legion bodyguards varies wildly. As fun as her personality is, Mylra doesn’t seem to do much of anything in combat. On the other hand, Vanessa’s stun was a life-saver before I got enough gear to stop being squishy, Ritssyn’s +10% damage debuff is pretty strong, and Modera’s freeze is godly if you’re in frost spec. I’m not sure I have a favourite in terms of personality. I feel like the characters I most want as bodyguards are never options. Would have loved to go adventuring with Liadrin, but she’s just a brief summon with a long cooldown. Congrats on finishing the last campaigns. I’m sure I’ll get there in time.